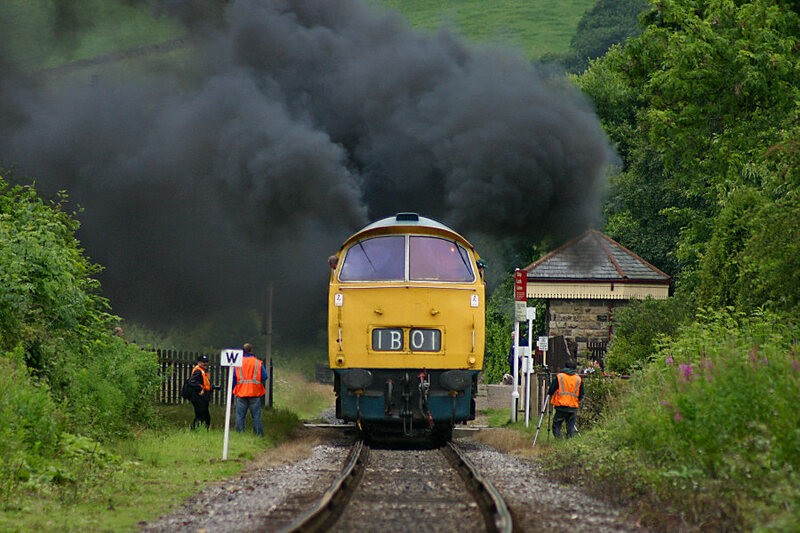 Maximum Speed: 90 MPH Length: 68' 0"
Train Brakes: Vacuum and Air Height: 12' 11¾"
Train Heating: Steam Heat (Isolated) Width: 8' 8"
D1041 is one of seven preserved Class 52 'Westerns' from an original 74 built by British Railways at Swindon and Crewe. 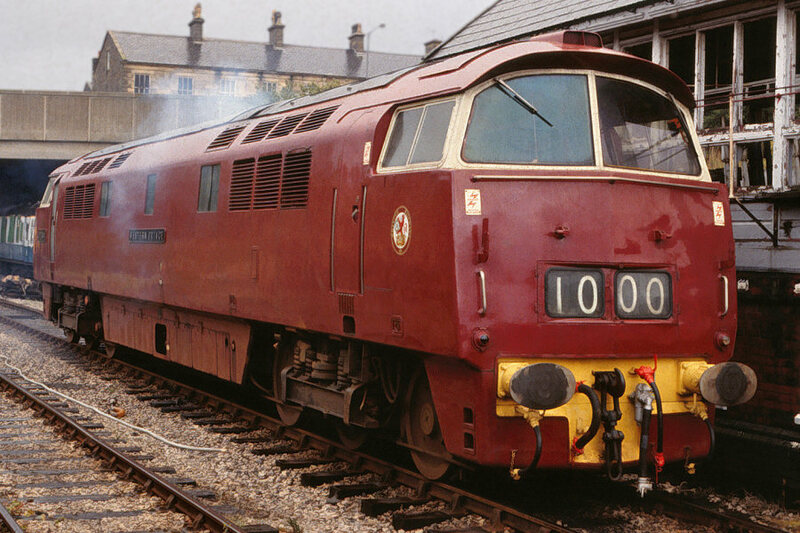 D1041 is a Crewe example and entered traffic in October 1962. The Class had a relatively short lifespan with BR and Prince was withdrawn in February 1977, just 14½ years. 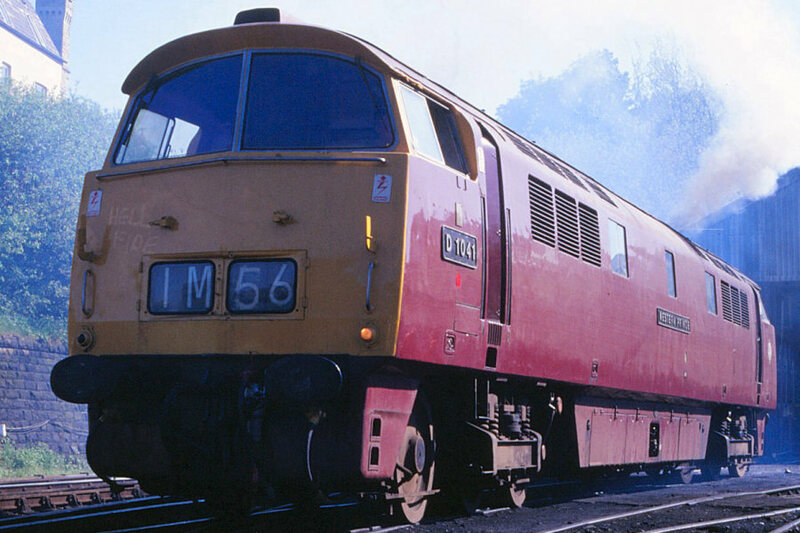 Western Prince was bought for preservation in May 1977 and is one of the original diesel locomotives based at Bury in the very early days of the ELR, part of the Bury Hydraulic Group fleet. 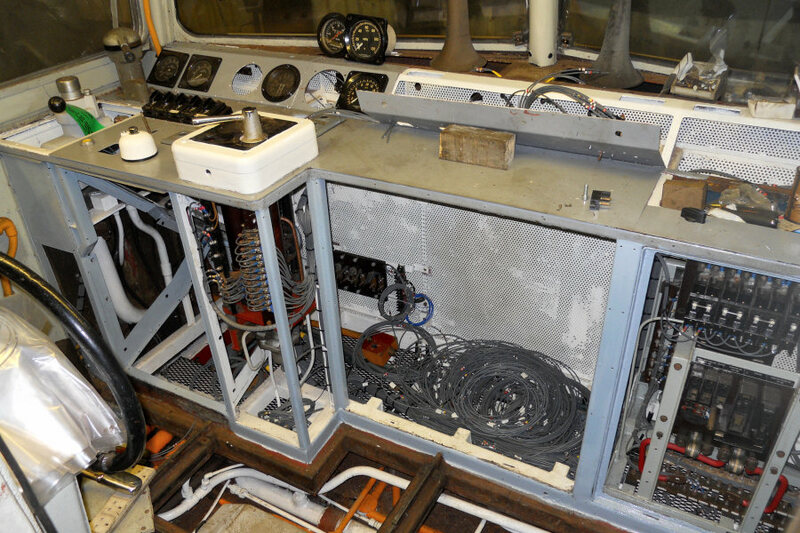 As of May 2013, D1041 will have had 36 years in preservation. 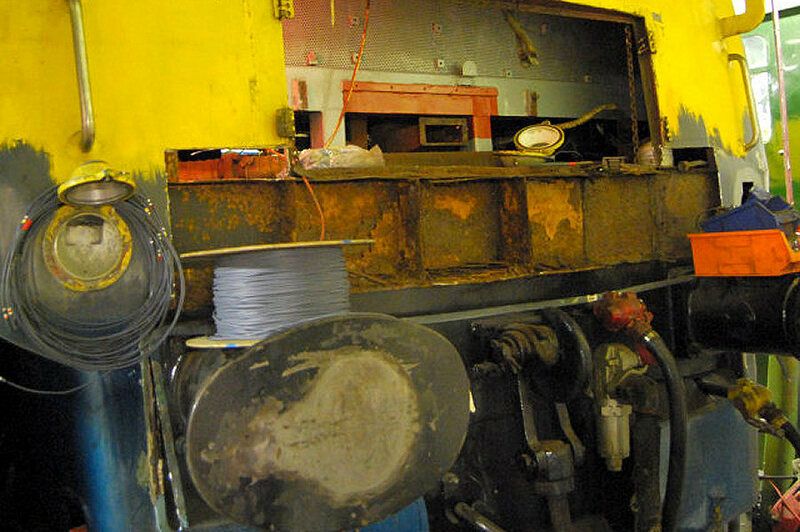 D1041 has always been a popular peformer but following 'A' End reverser and cooler group problems it was stopped in 2004. 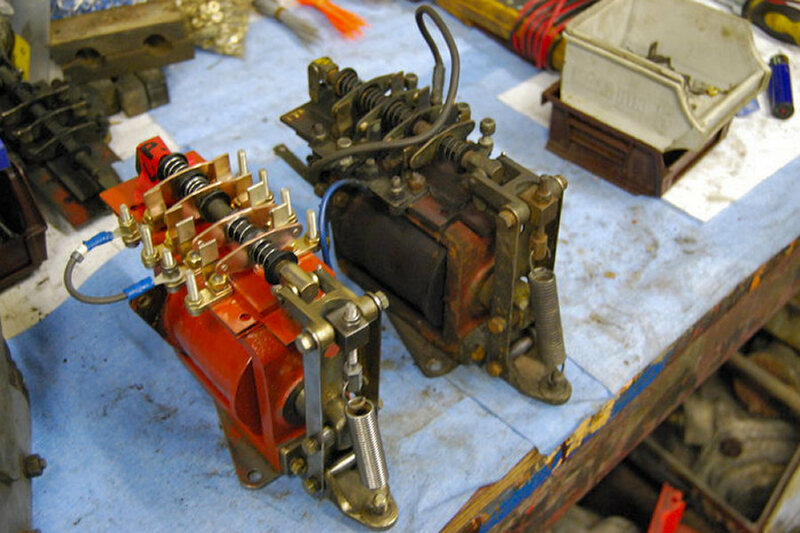 An attempt to revive Prince in 2006 failed and the decision made to give the loco a thorough overhaul including a full re-wire as electrical issues had also become a massive problem.